But first, let’s take a moment to adore one of my window sills in the new office studio space. You guys, I moved in to the new space the weekend of November 10, and I’m over-the-moon in love with it. I’m planning to show you more of it soon and what we are doing with it. The entire 2 bedroom apartment has hard wood floors, which is 100% my style. After being in there over a week now and letting the new environment settle to my soul, I am confident that the whole look and feel is going to play off neutral colors, farmhouse-office style. But is that really any big surprise?! HERE is a mood board for the space. My outstanding question is….why can’t it be a condo that I could just outright buy? But seriously. I’m never moving. Anyways, early Saturday morning I went there to shoot this, drink lattes, and breathe in all the joys of work that never feels like work. How Did You Come Up with Paleo Pudding? I’ll never forget when I first started playing with this recipe. It was October of 2013. Our friends, Missy and Jay and their daughter, Saige, were coming to California to visit. Ryan and I still didn’t have any of the kids yet, so back in those days, I spent all my time creating and concocting, developing and testing recipe upon recipe. Almost immediately, I knew this one was going to be a hit. The way I always “test” that is by making a recipe and sharing it with people who don’t normally eat gluten, dairy, soy, corn, meat, etc., etc. free. When the recipe passed with flying colors, I knew it was a go. 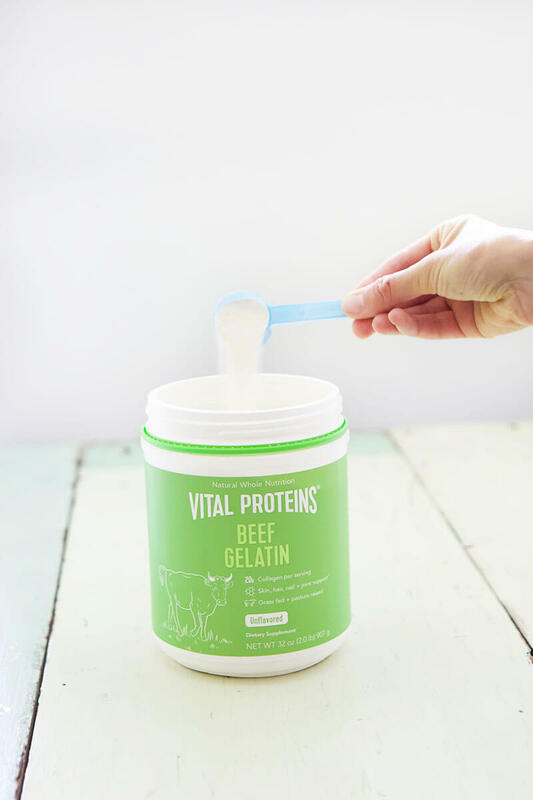 All pudding uses gelatin, but only super high-quality pudding uses pasture-raised, grass-fed bovine hide gelatin. And why is this important? Because if we’re making food that supports gut healing, it needs to contain ingredients that aid in, not hinder, the healing process. I’ve already told you, hundreds of times, that I have long used gelatin for gut healing. HERE are all the reasons why. But I continue to use it as I dwindle more and more off of meat as a Flirting Vegetarian because I trust them and their sourcing methods. If I’m consuming an animal-based product, then I need to know where, how, and why. Gelatin is the foundation for this pudding recipe. Choose wisely. This recipe is: gluten free, dairy free, soy free, corn free, added sugar free, and Paleo. If you use a firm banana vs. ripened, it can turn into a low-FODMAP option. 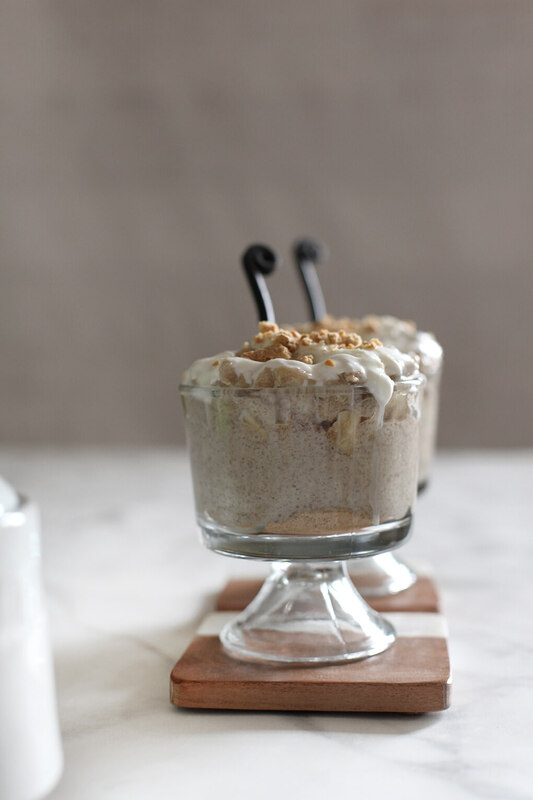 A creamy, banana cream pudding perfect on its own or layered into a pudding parfait. Place bananas, full fat coconut milk, sea salt, egg yolk and vanilla extract in a medium bowl, and blend together with a Smart Stick (or a hand-held blender on low). Heat the coconut milk light on the stove (on low, and don’t allow it to bubble). Once heated, add the coconut milk light to your bowl, and stir in the gelatin by hand with a whip or spoon, making sure there are no gelatin clumps. Place entire mixture in the fridge for about 4 hours to cool and “gel” together. Serve with a non-dairy whip cream, sprinkle some shredded coconut/banana slices on top, and/or layer with crushed grahams/crushed banana chips. 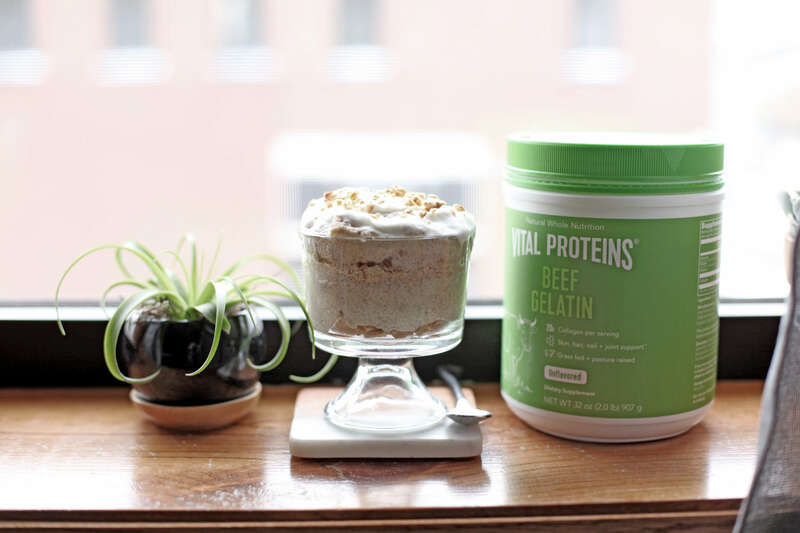 Use 1 Tbsp Vital Proteins Beef Gelatin if you want thin (almost runny) pudding; use 2 Tbsp if you want a firm pudding. 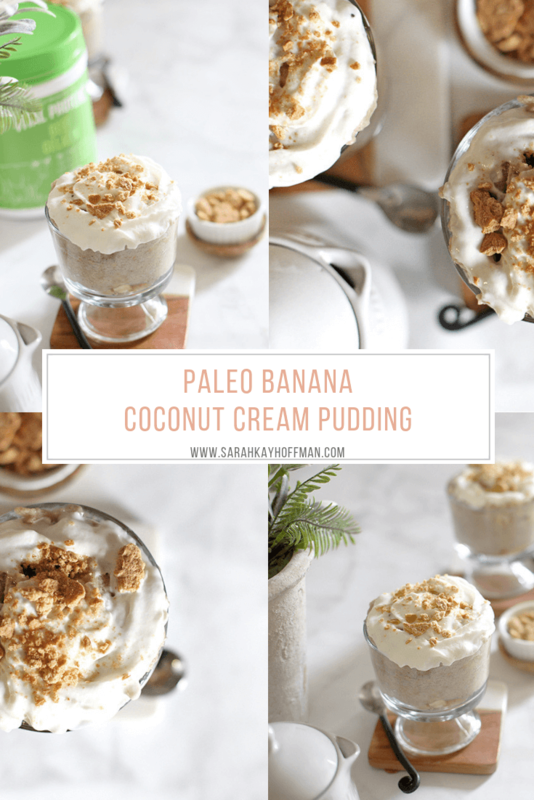 If you simply want to eat the Paleo Banana Coconut Cream Pudding as-is, you can. I could eat the whole thing in one sitting. I’m good like that. However, when I made this on Saturday, I turned it into a parfait. 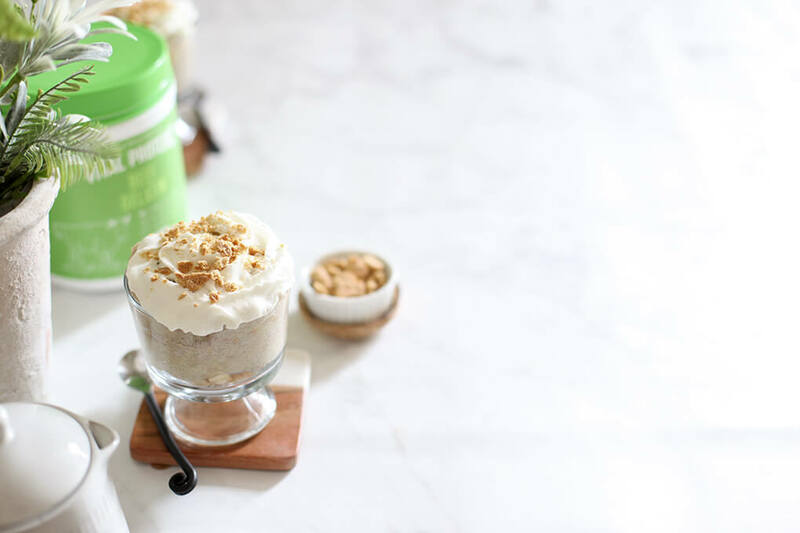 I layered as such: crushed and dried bananas, Paleo Banana Coconut Cream Pudding, crushed and gluten-free graham crackers, Paleo Banana Coconut Cream Pudding, and a whipped cream topping. 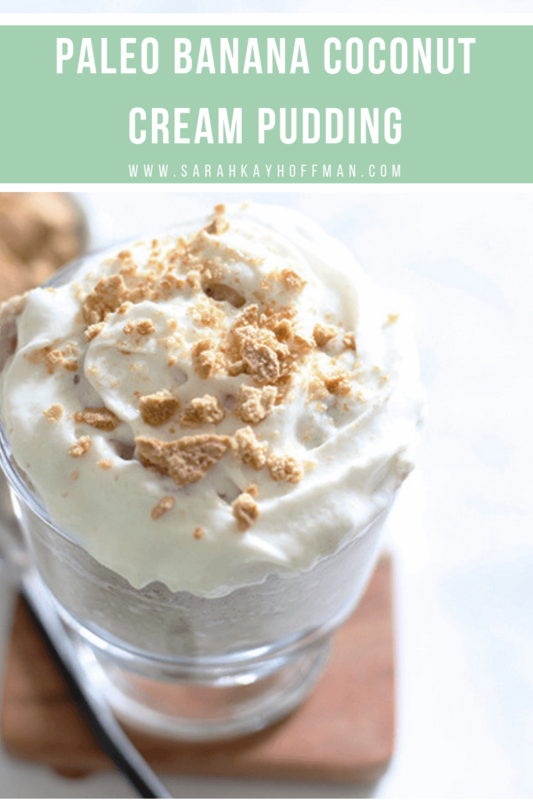 Everyone in our house approved, and this is the perfect snack and dessert for the babies because it’s a free-from-all-the-junk pudding. p.s. 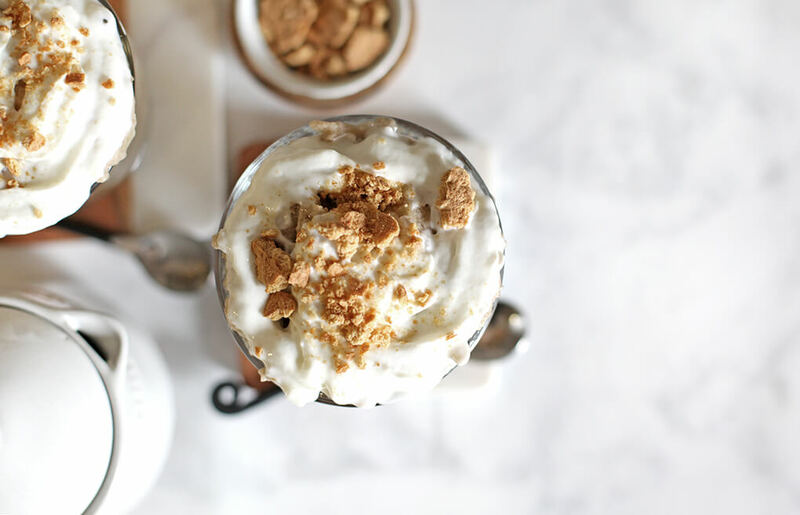 The whipped cream on top in this image is not dairy-free, but this is my favorite way to make a dairy-free whipped cream.